Being on slimming world it’s hard to find a decent sausage that is not only low in syns but doesn’t taste of cardboard. I absolutely love the Chicken Italia HECK sausages at only 0.5 ‘syns’, they are super tasty. 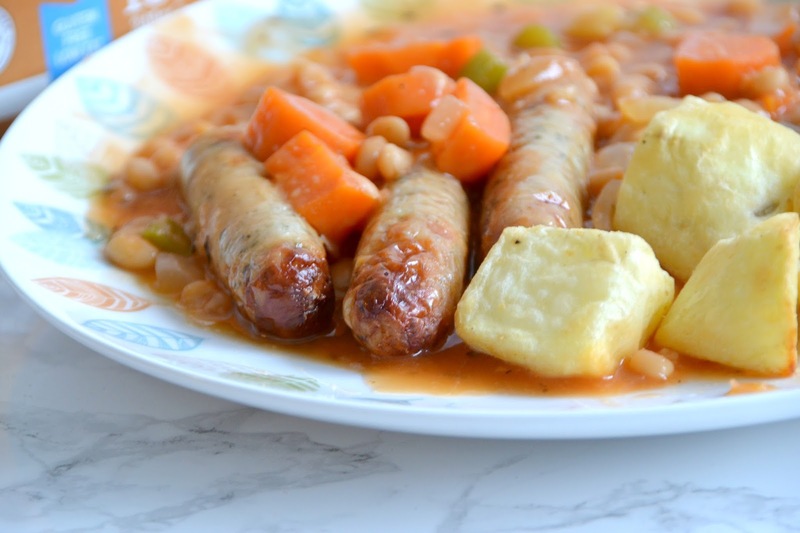 When I was asked to review some of these sausages I thought it would be the perfect opportunity to share my sausage cassoulet recipe with you using these sausages and the great thing is I get to share this with you for a good cause. 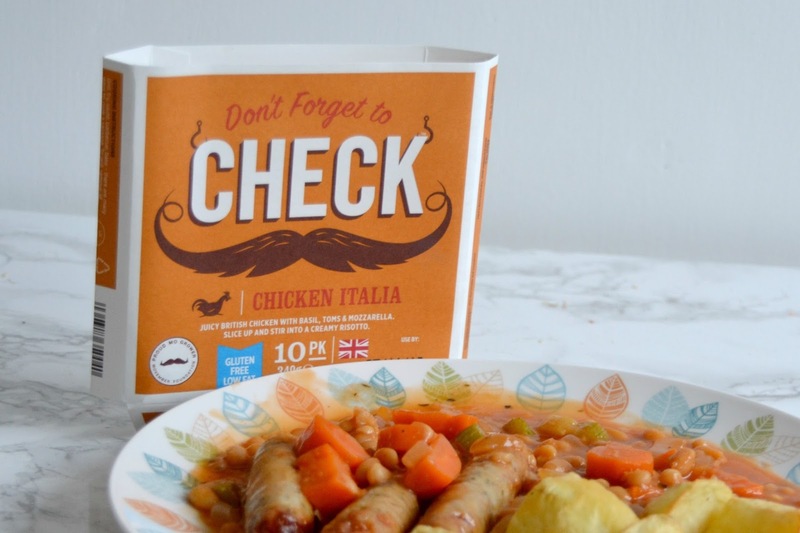 With Movember in full swing, food company HECK have announced they will be renaming their brand as CHECK for the month to join the fight for men’s health. HECK are hoping to raise £25000 for Movember Foundation through sales and hope to encourage more men to take action when it comes to their healthy and ensure they check themselves for signs of testicular cancer. This campaign has come about due to the incident earlier this year when Jamie Keeble, co-founder and eldest son of the family behind HECK found a cancerous lump in one of his testicles. Thankfully he caught the cancer early but this is not the case for a lot of men who aren’t aware that testicular cancer is more common in younger than older men. Unfortunately too many men feel something unusual but do not head to their GP for a second opinion. HECK want to make it easier for them to say when they feel something isn’t quite right. 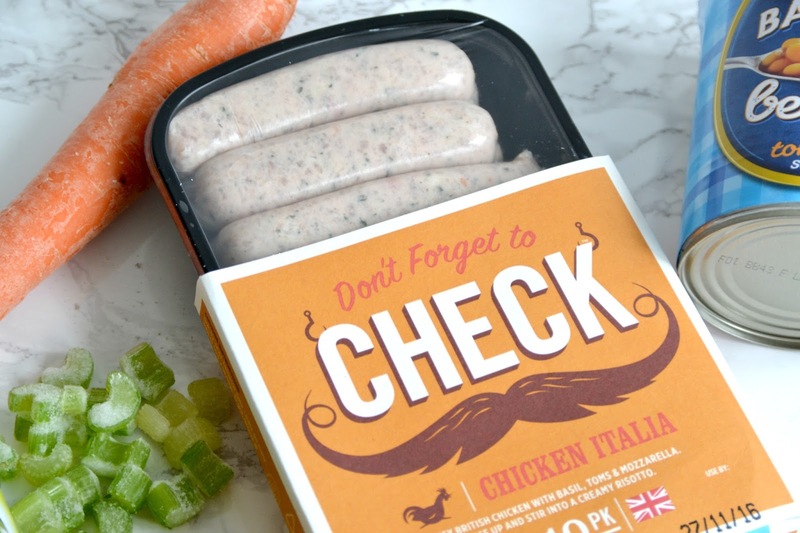 The packs of CHECK sausages will hopefully start some conversations which will raise awareness, and funds and maybe even save some lives. 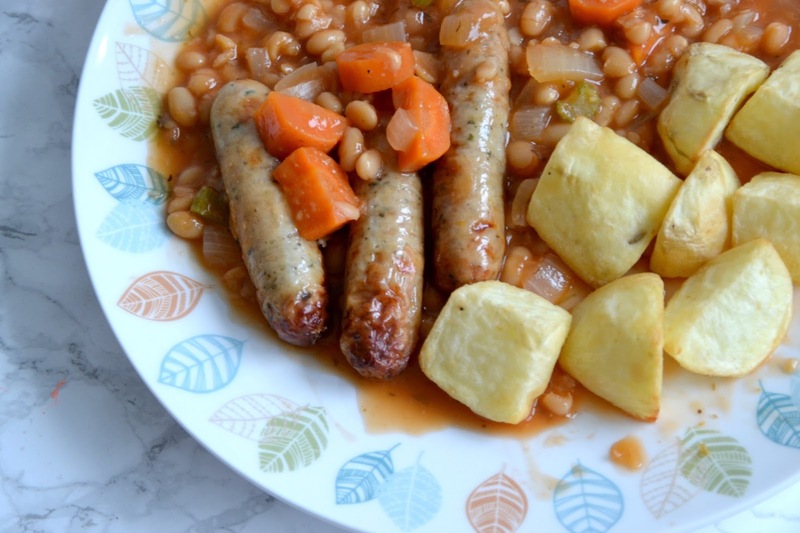 I love a sausage cassoulet and using this Chicken Italia sausages really enhanced the flavour of this meal. Each pack contains 10 sausages and they are gluten free. Keep reading to find out how I made this dish. The first thing I tend to do is to peel and chop my potatoes and get them roasting in the actifry as they take 45 minutes and I can get on with the rest of the meal whilst they are cooking. I spray my potatoes with a bit of frylight before popping them into my machine so they crisp up nicely. You can also add oil, however if you are on Slimming World this will need to be synned. You can of course serve this cassoulet with mash, rice or simply have it on its own – it’s completely up to you. Try serving it with sweet potato mash for a delicious alternative. Chop your onion, celery and carrot and pop these into a saucepan. I spray a little bit of frylight on them to stop them sticking and fry off until everything starts to go soft. When this happens, add your chicken stock, baked beans and one teaspoon of Herbes De Provence. Let this simmer away on a low heat so the vegetables can continue to soften. Meanwhile cook your sausages as per the instructions on the packaging. I grill mine as they only take 12-14 minutes, just remember to turn throughout. When they are nearly cooked, add your baked bean and vegetable mixture to a baking dish and let this cook for another 5 minutes. Pop your roasties on a plate then add the sausages with their sauce for a delicious hot meal. If you’re on Slimming World this is only 1.5 syns a serving! Men – don’t forget to CHECK your testicles. 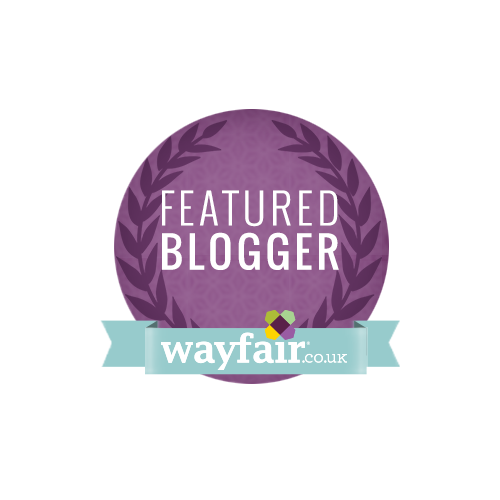 If I can write and talk about it on my Lifestyle blog then you can certainly talk about it with your GP. 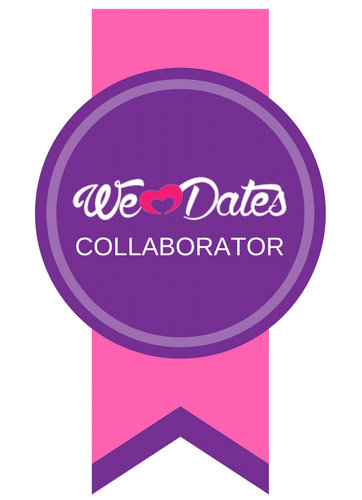 More than eight out of 10 men (82%) find it embarrassing to discuss their testicles with a parent or GP. It’s extremely important to check and seek medical help right away if you notice something unusual. 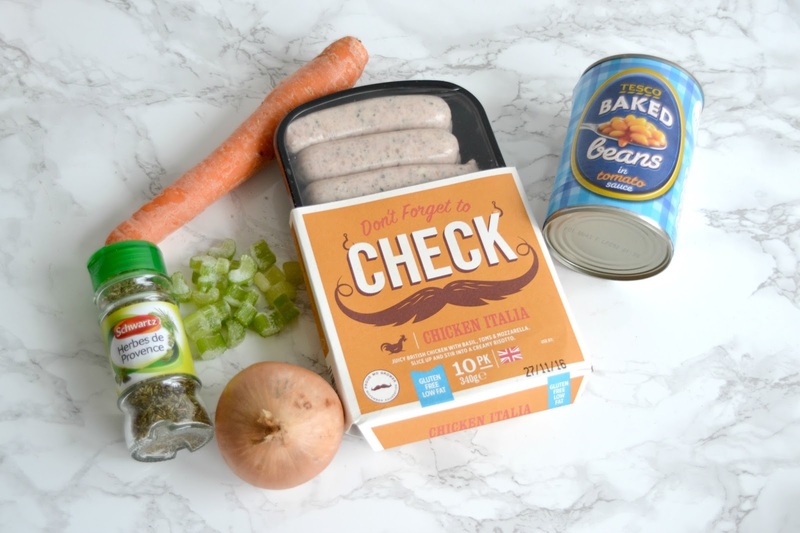 So if like me, you can’t grow a moustache for Movember – pick up a pack of CHECK sausages and spread the word to your brothers, partners, uncles and all the men in your life. Do your bit this month to combat testicular cancer. CHECK sausages are available throughout November and will cost £2.99 a pack and 5% from each pack will go to the Movember foundation. *I received these sausages free of charge in exchange for an honest review. All opinions are my own and I was not influenced in any way.